The Suzuki Let's competes against the Honda Activa 4G, Yamaha Fascino and TVS Jupiter. Suzuki Motorcycle India Pvt Ltd has introduced a new dual tone variant of the Suzuki Let’s. Mechanically the automatic scooter is unchanged. The Suzuki Let's gains Royal Blue/Matte Black, Orange/Matte Black, and Glass Sparkle Black body colours. New colour options on the Suzuki Let’s include Royal Blue/Matte Black, Orange/Matte Black, and Glass Sparkle Black. 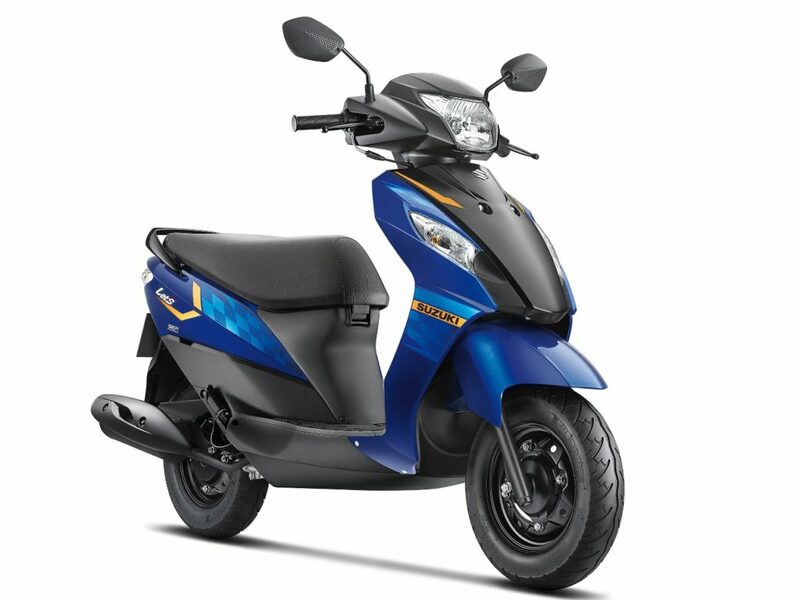 The scooter promises a fuel efficiency of 63 km/l and utilises SEP (Suzuki Eco Performance) technology. It also gets tubeless tyres, front telescopic suspension, cut away footboard, dual-tone instrumentation, and a maintenance-free battery. The ignition, steering and seat lock operate through a single key. The scooter tips the scales at 98 kg and has a 160 mm ground clearance. It gets a 5.2-litre fuel tank and an easy 765 mm seat height. The Suzuki Let’s gets 120 mm drum brakes at both ends and is shod with 90/100-10 tubeless tyres at both ends. The Honda Activa rival also gets an optional storage box in the front and a mobile charging socket. Powering the Suzuki Let’s is an 112.8 cc air-cooled, SOHC, 2-valve mill coupled to a CVT gearbox. The engine is capable of producing 8.4 hp of maximum power at 7,500 rpm and 8.8 Nm of peak torque at 6,500 rpm. The Suzuki Let's is powered by a 112.8 cc mill which produces 8.4 hp of power and 8.8 Nm of torque. 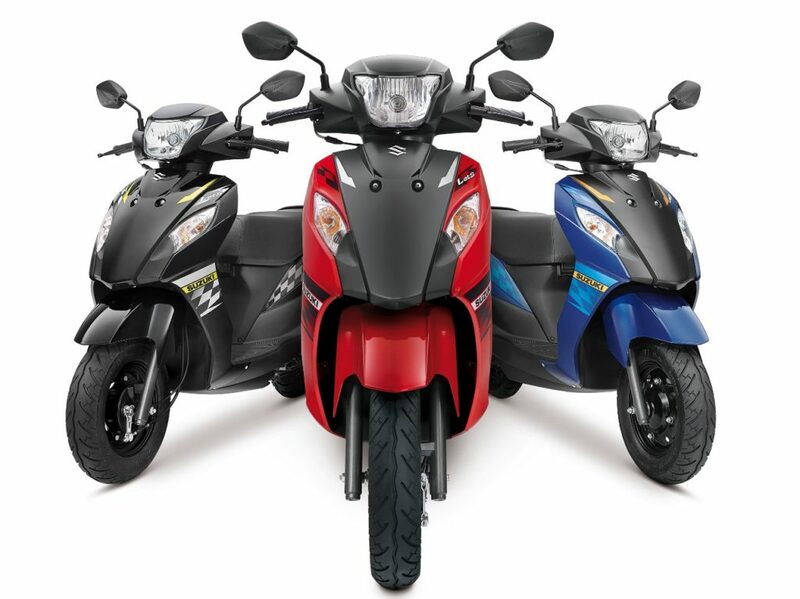 The new dual tone Suzuki Let’s is priced at INR 48,193 (ex-showroom, Delhi).